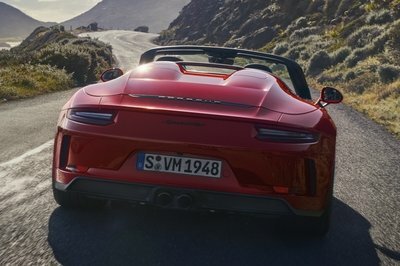 What Is The Heritage Design Package of the 2019 Porsche 911 Speedster? The 2019 Porsche 911 Speedster is a really cool sports car that comes with a lot of extras over the regular 911, but you can customize it beyond that by ordering the Heritage Design Package. Crafted by Porsche Exclusive, the division responsible for bespoke features, it adds classic styling elements that link back to the roots of the German company. The Porsche 911 Speedster just broke cover at the 2019 New York Auto Show after months of speculation and a couple of concept cars. It’s the last 911 based on the 991-generation sports car and one of the nameplate’s highlights alongside the GT3- and GT2-badged models. 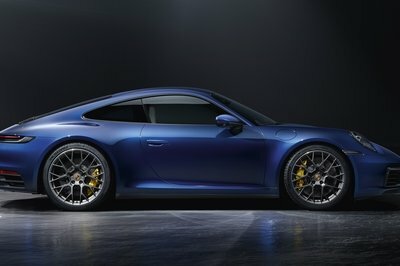 It’s limited to only 1,948 units, and it’s far from cheap: Porsche wants more than $270,000 for one! Previewed by two concept cars in 2018, the Porsche 911 Speedster finally made its debut at the 2019 New York Auto Show. Based on the 991.2-series 911 that has been discontinued in 2018, this model marks the return of the Speedster nameplate after nine years. If you’re a lover of anything classic 911, you might want to look away now. That’s because the Half11 (sounds better than 4.511, I guess) is a V-8-engined, tube-framed sports car with the front bodywork of a 911 from the early ’70s and the tail section of an open-wheel racer from about the same period. Oil Stain Lab released a bulk of renders, and it looks insane and what’s even more insane is that it’s almost ready to roll. Porsche is one of those brands that’s been able to gather a huge fanbase and then grip to it firmly by staying true to its ethos in the sports car department, at least. The 911 essentially follows the same design language drawn up by Ferdinand ’Butzi’ Porsche in the early ’60s, and this is, by and large, quite unique in the automotive world. But while the looks of a 911 haven’t really changed with the passing of time, the technology has and what was once a sportier Beetle is now a benchmark grand tourer that still has its engine hanging behind the rear axle. Porsche is currently gearing up for the release of the next generation 992-era 911, offered as a follow-up to the current 991-era 911. 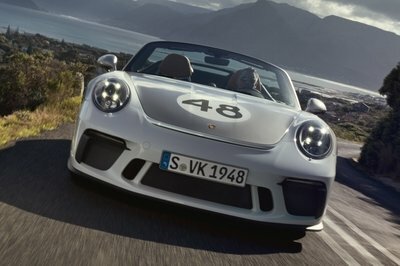 Per usual, Porsche will offer a variety of body styles and equipment levels, including high-end speed and unlimited headroom with the up-and-coming 911 Turbo Convertible. 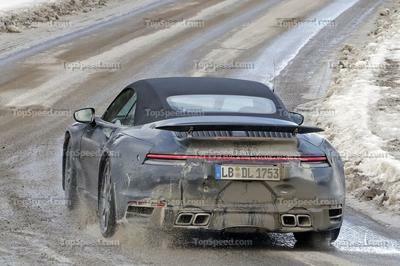 Update 04/2/2019:We Caught the 2020 Porsche 911 Turbo Convertible Testing in the wild again – check out the latest images in our spy shots section below. The Porsche 911 is unarguably one of the most famous sports cars the world over. It’s also impossible to argue that the design of the 911 is legendary to the point that it doesn’t really move with the times, it stays the same while everyone else hurries to change every so often. By 1965, the 911 was already three years old, and the company finally dedicated itself to the 911 after halting the production of the venerable 356. Unveiled at the 1963 Frankfurt Auto Show, the Porsche 901, later renamed 911 after Peugeot intervened, is Porsche’s most successful model and an icon all on its own. The design, penned by Ferdinand Porsche’s son ’Butzi’ Porsche with help from Porsche’s Head of Body Construction Erwin Komenda, was instrumental in shaping all of Porsche’s future products. In fact, Porsche never really strayed away from the design language introduced by the original 901 in the Fall of 1963. The latest 992-generation 911 still features a pair of round headlights in the front, a sloping tail with narrow taillights, and everything else in between. The only thing one can say about the modern 911 is that it’s much larger than its forefather, but you should blame that on both the quest for performance and the quest for safety. The Porsche 718 Cayman GT4 RS is an upcoming high-performance version of the company’s smallest coupe yet. An upgrade to the GT4 model from a few years back, the GT4 RS is the most radical version of the 718 Cayman yet. 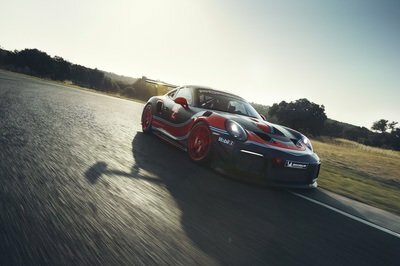 Ever since the first GT4 was announced, enthusiasts have been asking themselves whether Porsche will take things up a notch and develop a GT4 RS. 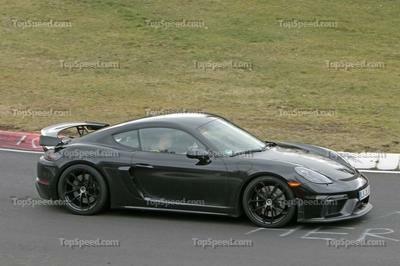 But despite favorable rumors and the fact that an RS version would make sense, a more powerful GT4 has yet to happen. This willd change at the 2019 Goodwood Festival of Speed when this street-legal racer is set to break cover. And even though there’s no confirmation whether it will be called the GT4 or GT4 RS, the new coupe will definitely pack a significantly beefed-up engine. So I’m tempted to go with an “RS” badge. Updated 03/27/2019: Our spy photographers caught the production version 718 Cayman GT4 testing at Nurburgring.The car is expected to make its world debut at the 2019 Goodwood Festival of Speed. The latest addition to Porsche’s great line up is the all-new 2020 Cayenne Coupe. 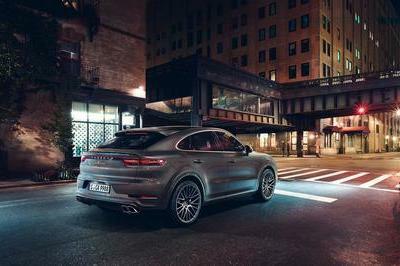 As one of the most financially meaningful contributions to the lineup, the Cayenne Coupe gathered all the best Cayenne abilities and offered them in a sexier, sleeker and, seemingly more sophisticated shape. While I can tell you right away that the Porsche Cayenne Coupe is a Cayenne with a differently styled roof, it also does hide its true nature with a few essential novelties compared to the wagon-style brother. 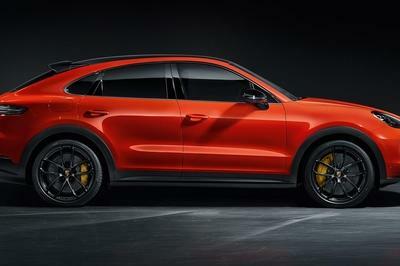 The Macan might be a small Porsche SUV but it still shares at least small amount of Porsche 911 DNA. 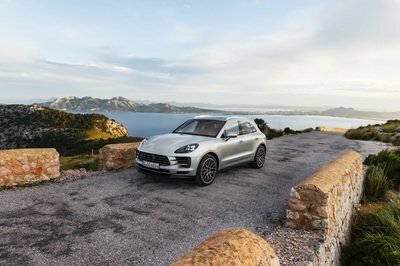 For 2020, Porsche has completed its mid-cycle update to the Macan lineup by introducing the latest styling over to the Macan S. Of course, not a lot changed on the outside, but the S now comes with some extra power and a little less weight – two things anyone can get behind. Along with the release of the new Macan S, we managed to get our hands on a nice allotment of fresh wallpapers, so we figured we should give it some on-screen love and feature the new Macan S as our wallpaper for the day. We’ve showcased our favorite wall paper down below but have also attached a gallery to the bottom of this page with other great shots of the 2020 Porsche Macan S.
Porsche just unveiled the 2020 Cayenne Coupe, which is a lot like the standard Cayenne, but with a “sportier” roofline. 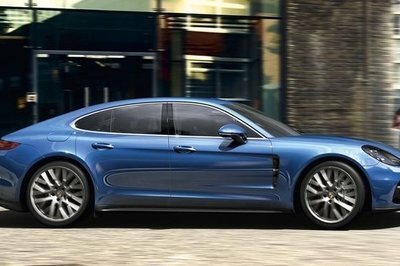 As a fan of fast cars and less of a fan of fast SUVs, I feel as though it’s my duty to encourage anyone considering the Cayenne Coupe as their next vehicle purchase to instead take a gander at the Porsche Panamera lineup, which offers more performance, equal levels of luxury, and nearly equal practicality. Coupe SUVs tend to suffer from polarized opinions – you either like them or absolutely despise them. 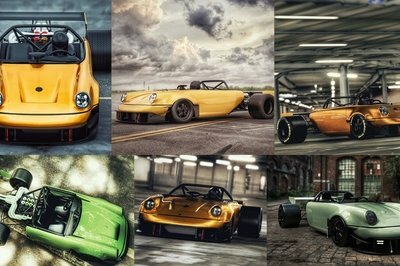 They represent the weirdest blend between body styles that the automotive world has ever seen. BMW is the culprit for starting the trend, and other automakers must follow. That’s why we’re looking at the new 2020 Porsche Cayenne Coupe – Porsche had to have a competitor for the BMW X6, and now they do. Powered by either a 3.0-liter six-cylinder or a 4.0-liter V-8, the new Coupe SUV can deliver as much as 542 horsepower and 568 pound-feet of torque. Here at Topspeed, nobody can really agree on whether the body style is attractive or not, but we know at least some of our readers are in love with the body style, and the Cayenne Coupe will be the subject of all your desires. So, we’ve decided to make it our wallpaper of the day. Check out our favorite below or pick your own from the gallery at the bottom of the page! The 2020 Porsche Cayenne Coupe is a sleek, coupe-style version of the familiar Cayenne SUV and the German company’s competitor for the BMW X6, Mercedes-Benz GLE Coupe, and the Audi Q8. Unveiled in 2019, it goes on sale for the 2020 model year with drivetrains borrowed from the regular Cayenne. Design-wise, it has a much sleeker rear end, but Porsche also altered the front fascia, which looks a bit more aggressive than the regular SUV. Aimed at premium crossovers built by German companies, the Cayenne Coupe benefits from all the features available with the regular Cayenne. However, this SUV offers limited headroom for rear-seat passengers and has a slightly smaller trunk. Does it have what it takes to give the X6, GLE Coupe, and Q8 a run for their money? Let’s find out in the review below. 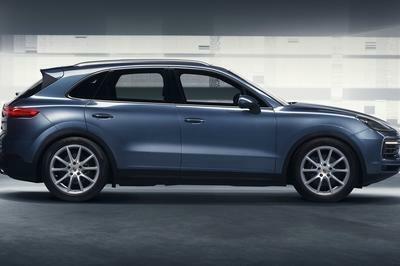 Did the world really need a Porsche Cayenne with a “steeply sloping,” fastback-style roof and more squatted rear end? 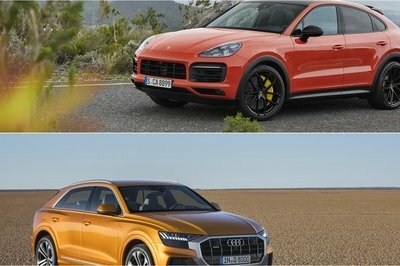 Apparently, it did because the new Cayenne Coupe is real and has just broken cover with its sights firmly set on the BMW X6, Mercedes GLE Coupe, Lamborghini Urus, and Audi Q8. 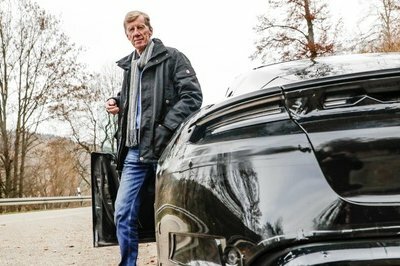 Just as Tesla continues to bask in the attention generated by the Model Y’s unveiling, Porsche is looking to steal the California-based automaker’s thunder by announcing a very important detail about its own all-electric crossover, the Taycan Cross Turismo. 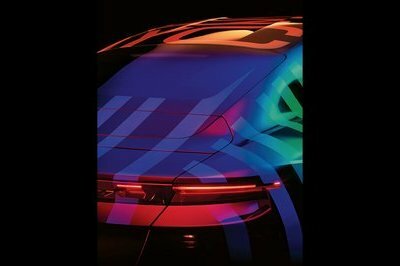 None other than Porsche CEO, Oliver Blume, disclosed in Porsche’s annual sustainability report that the Taycan Cross Turismo will launch at the end of 2020. The announcement refutes earlier rumors indicating that the Taycan Cross Turismo isn’t scheduled to arrive until late 2021. Could this accelerated timetable have anything to do with Tesla’s launch of the Model Y last week? Porsche won’t admit to it, but it does feel like where there’s smoke, there’s fire. It’s the centerpiece of a 1971 motion picture starring Steve McQueen. It brought Porsche its first two overall victories in the fabled 24 Hours of Le Mans race. In 1973, it became the fastest car to lap a closed course at 221.12 mph. It all but annihilated the competition in the Canadian-American Challenge Cup and pushed McLaren to quit the series altogether. 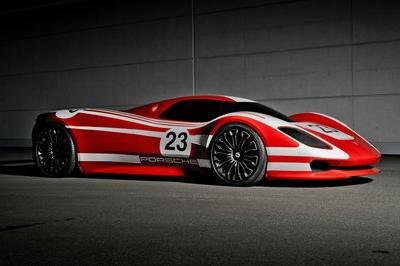 It’s the Porsche 917 and, in 2019, Porsche celebrates its 50th anniversary with an outlandish prototype. Few race cars have an aura surrounding them like the 917 does. That’s because it is Porsche’s first truly great sports car, one that raised the bar higher in both endurance racing and the unlimited Group 7 Can-Am series. But, in 1969, when Porsche first unveiled the 917, nobody wanted to drive it. All of Wiessach’s works drivers tried to seem busy when Porsche called them asking to test or race the 917, and there’s a reason for that, a reason that sits at the foundation of the 917’s legend and its incredible story of evolution.